To inform, train, connect and develop the practitioners of social arts while contributing to innovative practices that increase the impact of social art practices. ASAwiki intends on becoming the HUB of most information relavant to social arts by proving a free, accessible online infrastructure where the international community of social artists can document their practices. To achieve on our intent of empowering the professional potency or social artists’ interventions, we’re intending on providing professional support services such as professional counceling services, important daa regarding our industries, best practices for service offerings and job applications and much more. Furthermore, we intend on coordinating high level training services for our members by bringing international experts where they are needed most. By organizing retreats, conferences, festivals and more we will favor knowledge sharing and the deepening of the understanding of our fields to cultivate innovation and further learning. ASA is dedicated to the principles of cultivating a community of practice centered around social art empowerment. To achieve on this goal, we provide spaces where members of the community can come share, meet and grow their ideas. This sometimes looks like circles, co-development structures, group discussions, informal activities and more. ASAwiki helps support the innovation in social arts through it’s capacity of highlight trends in the data relevant to our practices. Also, ASA compiles it’s own, and the rest of the worlds’, stories about social arts and promotes innovation by hosting spaces dedicated to this intention through our community of practice’s activities. ASA also facilitates the coming together of all people close or far from our mission through our invitations and activities. Our goal is to create a fertile environments where employers, practitioners and researchers exchange regularly and dynamically. 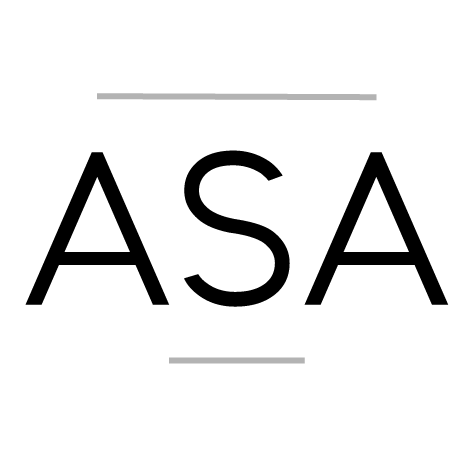 Founded in 2016, Associated Social Artists is a professional association uniting artists, social artists, organisations active in the fields of social arts and academic institutions interested in developing the world of social artistry. Our mandate is to defend the interests of social artists everywhere and to help grow the socio-economic conditions of social art practitioners everywhere. We are responsible for the hosting of events that inform, train, network and develop the professional competencies of social artists by contributing to the innovation of new social art practices and by amplifying the impact of their works. Our intention is to see a net increase in the transformative impact of social art interventions, to increase recognition of social arts as a legitimate professional practice and to see more social artists capable of making a living wage from their practices. Furthermore, we are committed to the practice of sharing information relating to the world of social arts via wiki.asawiki.com under the premise knowledge sharing is one of the first powerful steps we can all take to shine a light on the history of our profession. We believe that the empowerment of creative competencies in any people contributes to an increase in capacity to properly navigate the 21st century’s most pressing issues and that social art practitioners are some of the most important actors in cultivating this skill all over the world.